This new dark blue/silver combination was designed to convey a sense of streamlined speed, elegance and beauty. Silver areas can also be printed with optional foil emboss. This design went on to be used in several other promotional pieces and displays, and reflects the updated color scheme of EEJ's standard corporate aircraft livery. 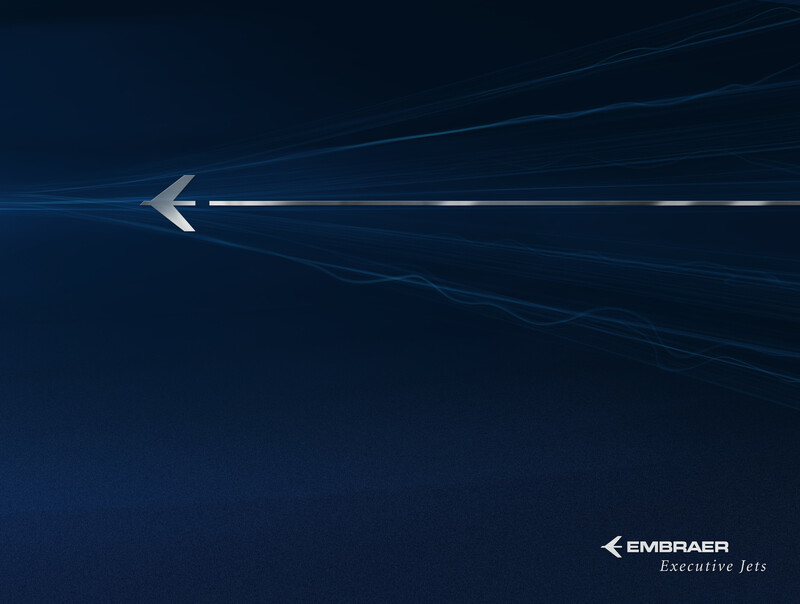 A new dynamic look and feel for Embraer Executive Jets brochure covers. This new dark blue/silver combination was designed to convey a sense of streamlined speed, elegance and beauty. Silver areas can also be printed with optional foil emboss. This design went on to be used in several other promotional pieces and displays, and reflects the updated color scheme of EEJ's standard corporate aircraft livery.